You can rest assured knowing that no matter what your next adventure is, that your car will be clean and protected with the one and only Wetseat covers. 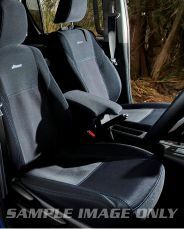 Inland Australia offers Australia’s most trusted neoprene seat covers that are specifically designed with the Australian lifestyle and climate in mind. So, you know that your Wetseat covers will be able to handle whatever you and Mother Nature decide to sling at them! 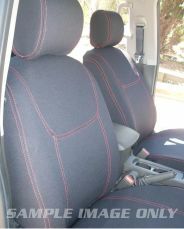 We offer both universal and tailored neoprene RECARO seat covers. Our patterns take into account vehicle model, year, series and body type ensuring that you get the perfect fit every time providing the ultimate in seat protection. Our Universal Wetseat covers fit most cars with removable headrests and side seat airbags. The Wetseat RECARO seat covers are crafted from a highly durable UV safe neoprene material that is water, chemical and abrasion resistant. All covers are crafted with a sharkskin rubber backing that is safe when fitted to cloth, leather and vinyl seats ensuring a non-slip grip on your seats. This sharkskin material keeps your seat in premium condition whilst preventing any movement, therefore reducing any potential wear and tear. Whether you’re heading off on a fishing trip or going for a surf, your Wetseat covers can handle whatever comes its way.